Golf is a game of patience and precision, but it also has a lot to do with physical effort, even if you’re used to going out every day. A golfing game can stretch out over an entire afternoon, and you’ll find that, without good physical stamina, you might find it difficult to keep your head clear for those last few shots. Aside from physical exercise, it’s also important to learn to keep your mind balanced. Practices like meditation, yoga and Tai Chi are considered to be among the best to help you improve the way your mind and body work together. Strength training is also required if you want to make that ball go as high and as far as possible. Consider altering your workout regimen to include more core, arm, back and chest exercises. You won’t regret the extra work you do, since it’ll be clearly visible when you see the improvements in your game. As you continue to make progress with your game, make sure you identify your weaknesses and work on them. Your weakness might be your aim, or it might be the use of a certain golf club. Stick to practicing with it, and make note of every little improvement you make. Finally, it’s good practice to have a pre-shot routine. Compensating for any weaknesses or unbalances that you might experience during the shot, your pre-shot routine will allow you to become more consistent while playing golf on a regular basis. 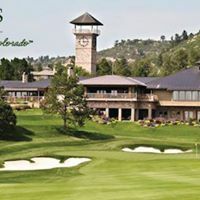 To really improve your game, look at Castle Pines luxury homes with golf club membership opportunities and get out to golf daily!